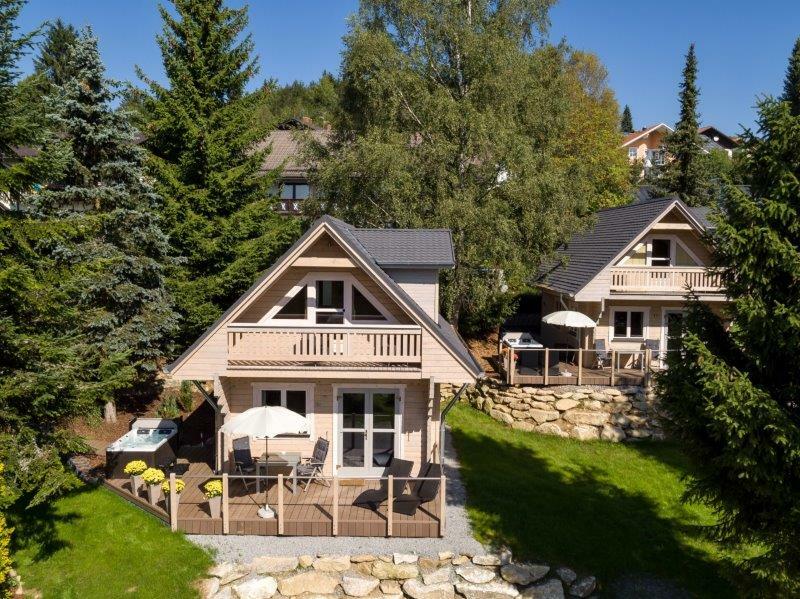 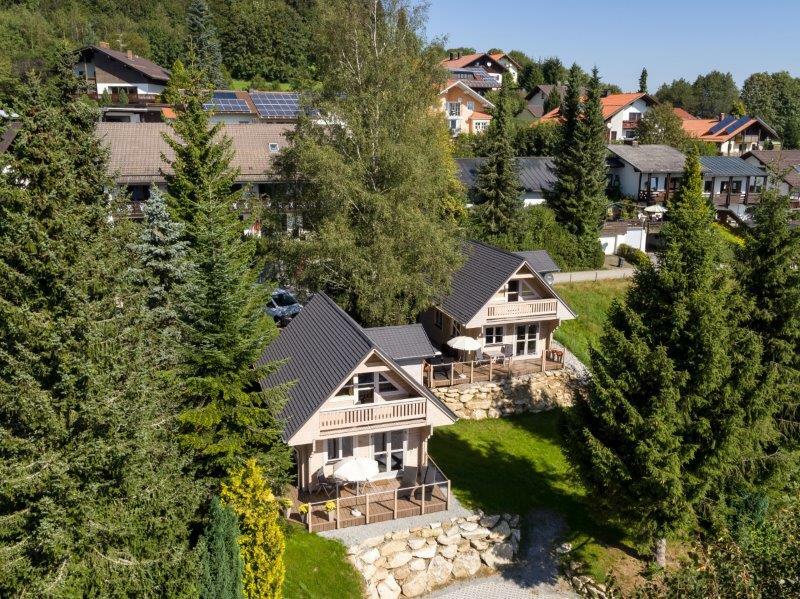 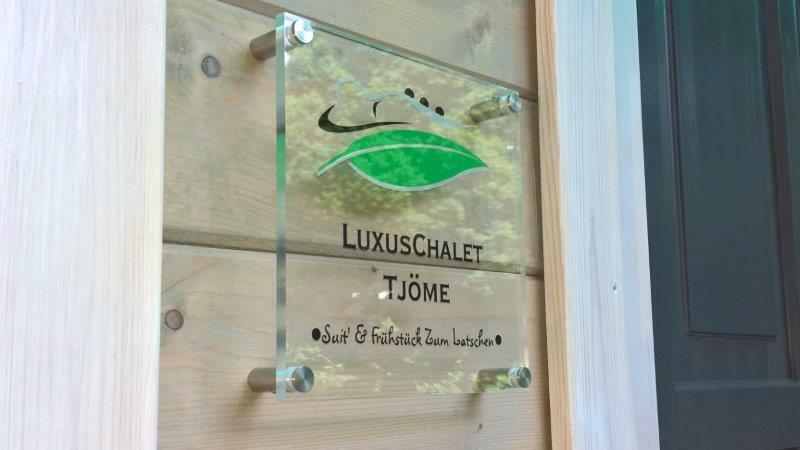 Contemporary and traditional meet each other in our newly built (2016) LuxusChalets (wooden log houses). 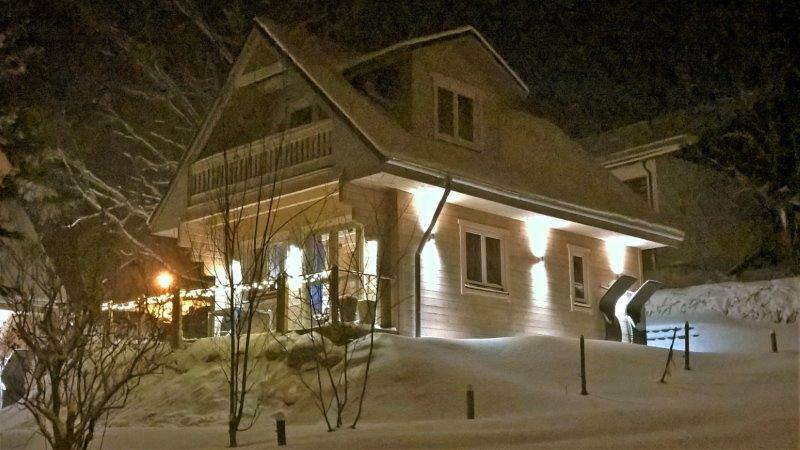 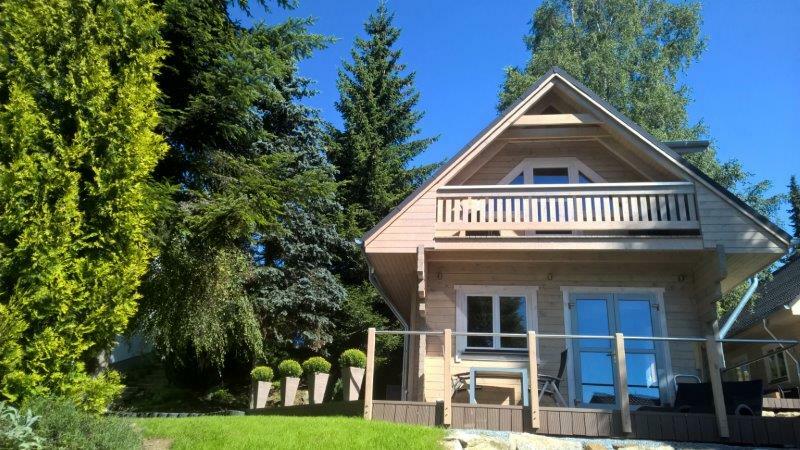 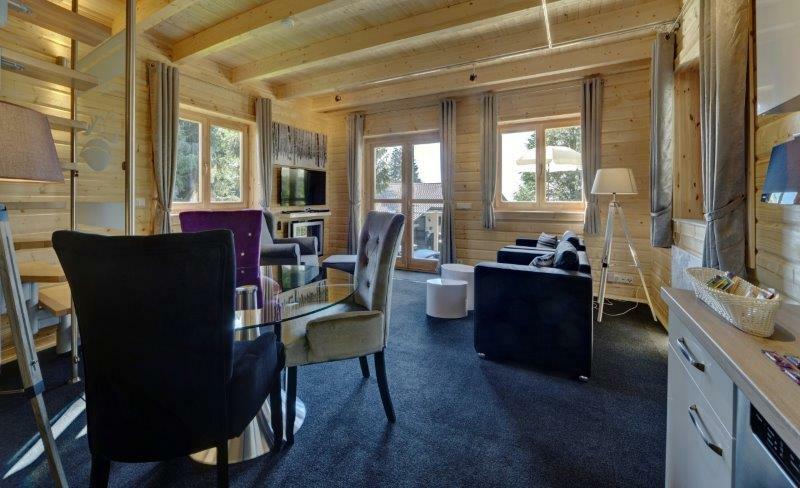 Each chalet is for private use only en offers a spacious hotel suite of 80 m2 (approx. 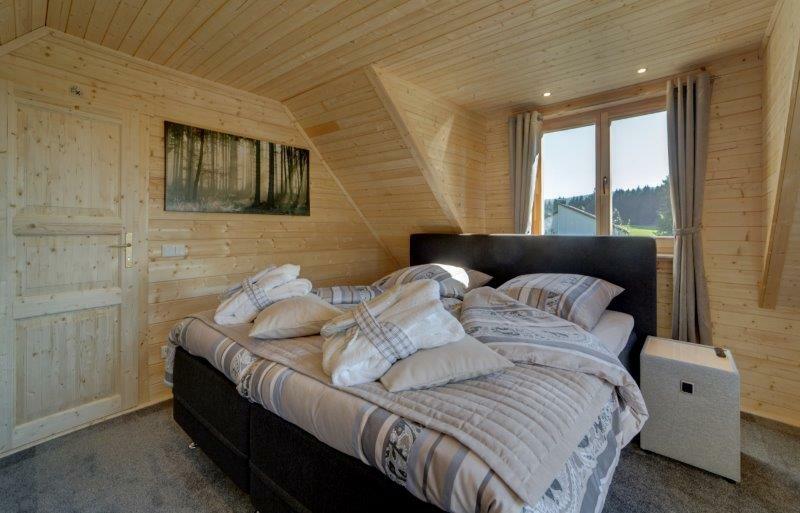 900 sq. 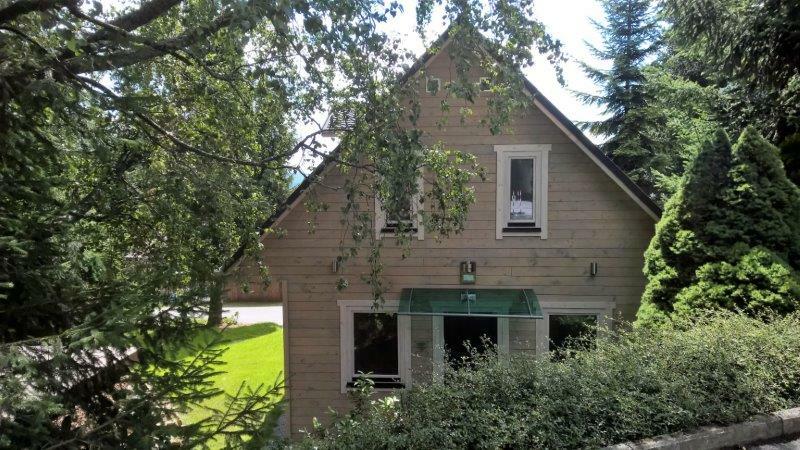 ft.), divided on two levels. 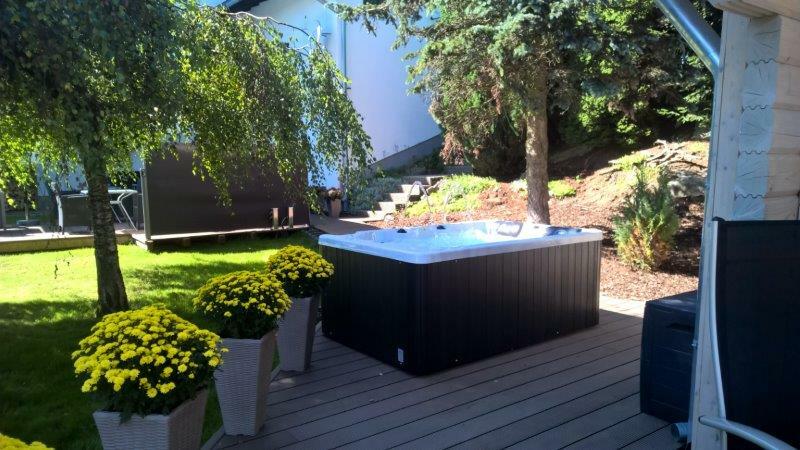 Outstanding luxury, hardly beatable! 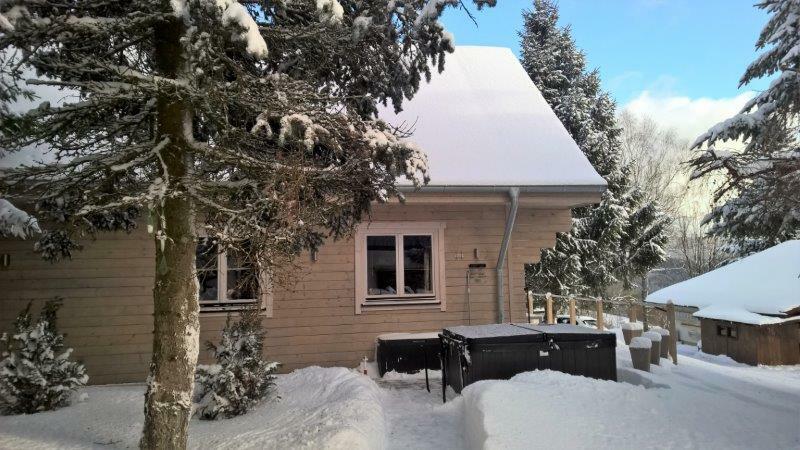 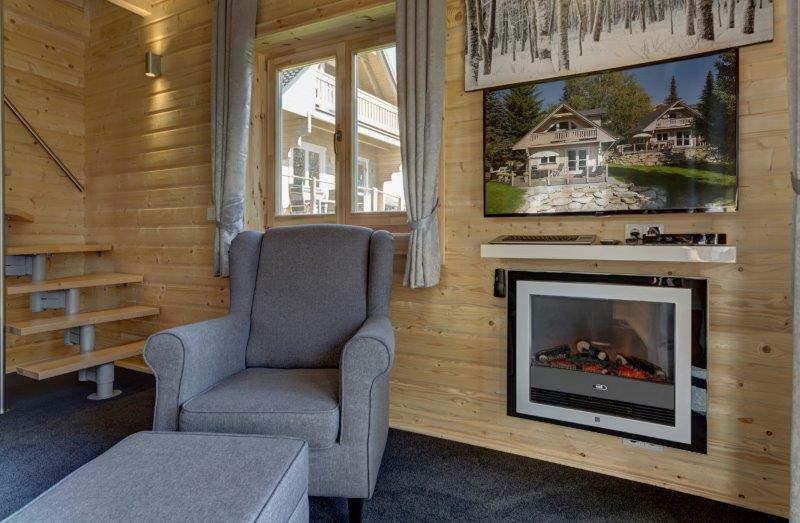 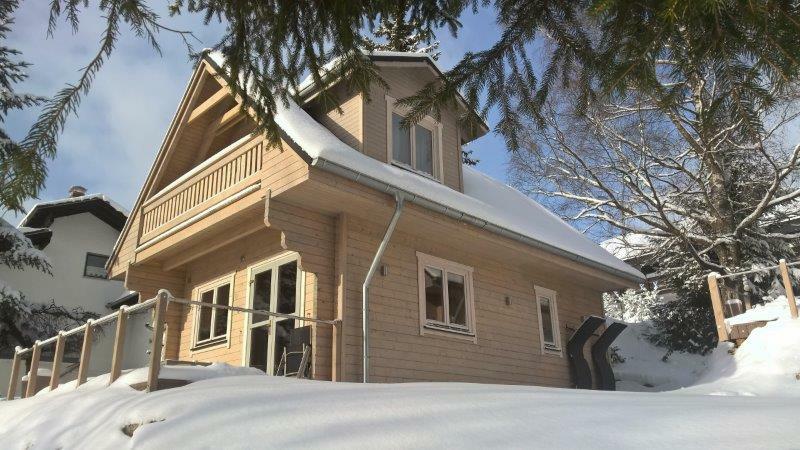 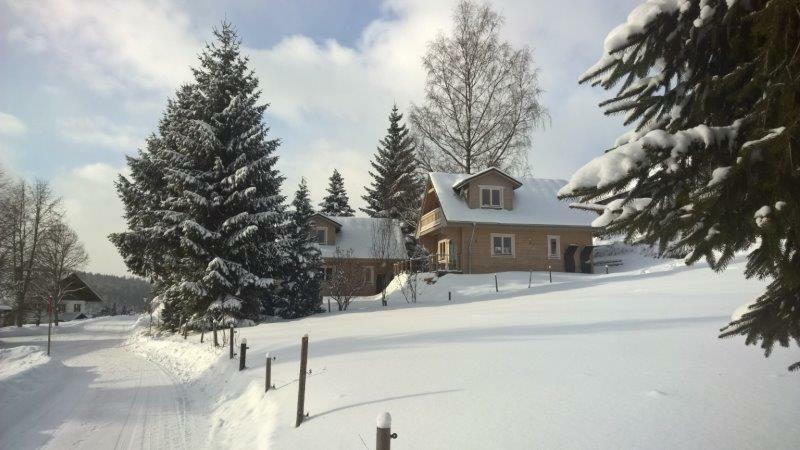 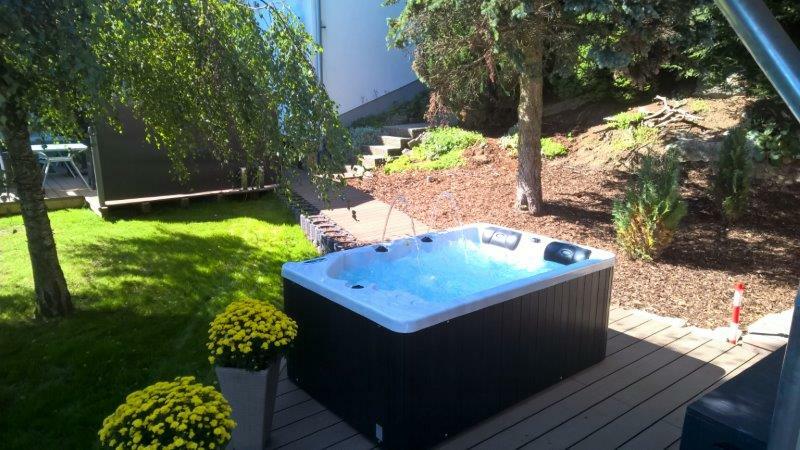 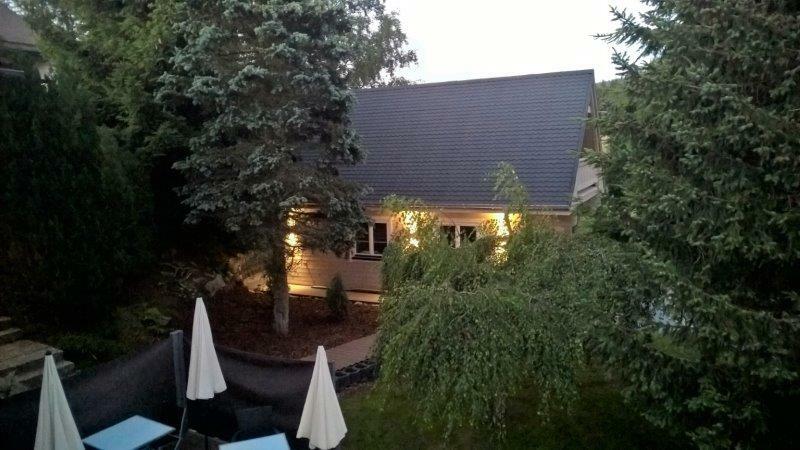 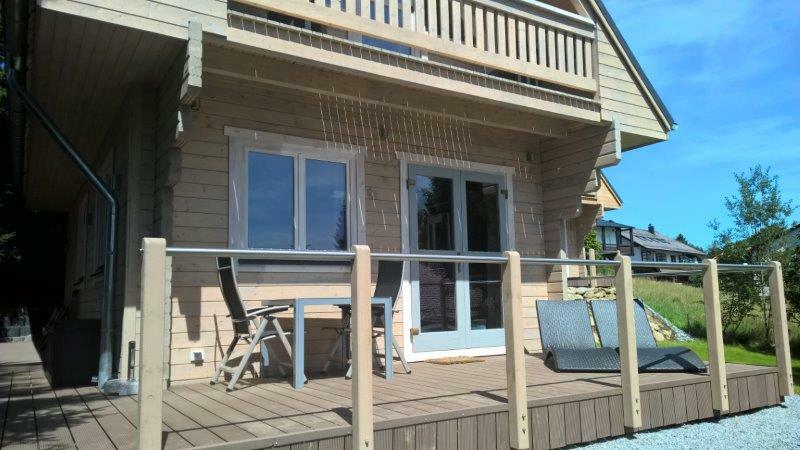 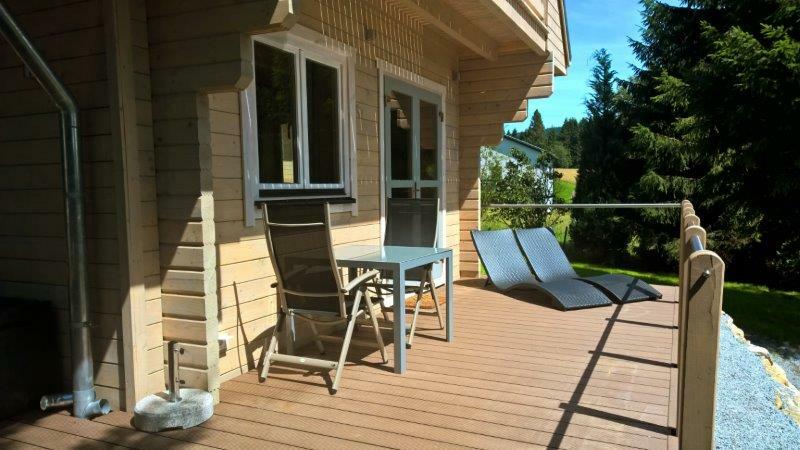 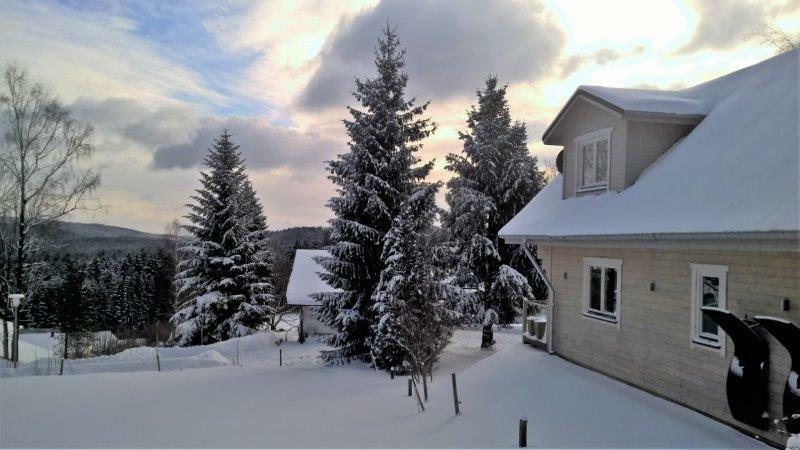 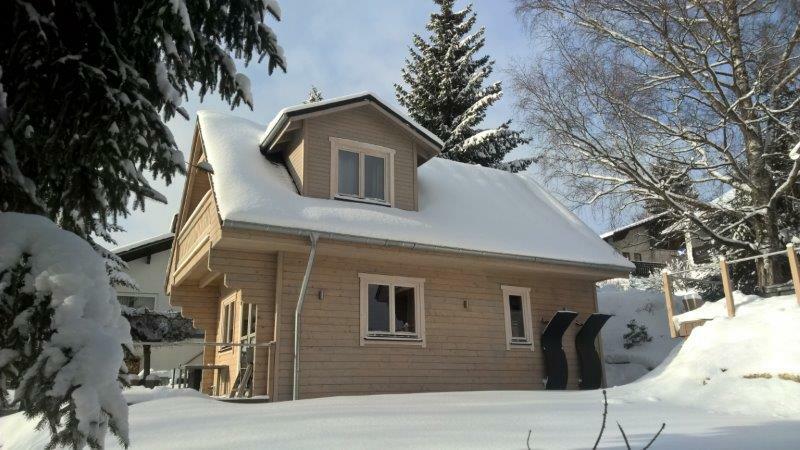 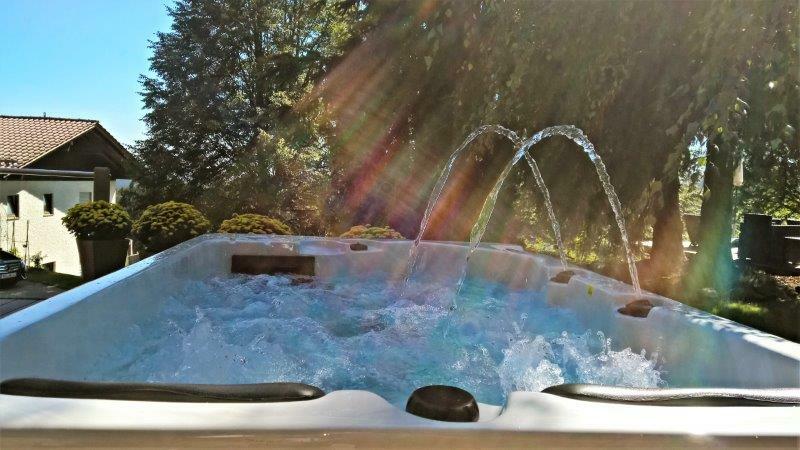 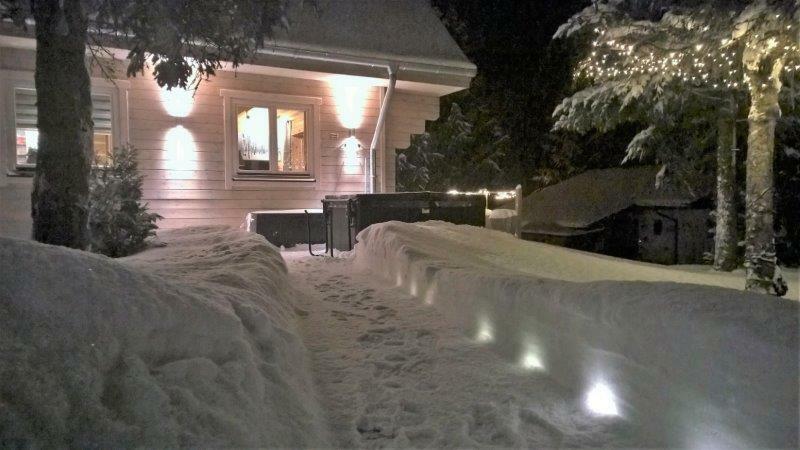 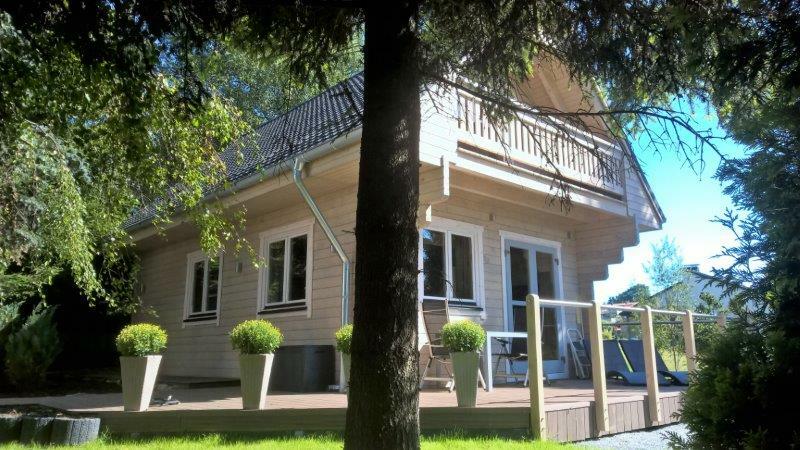 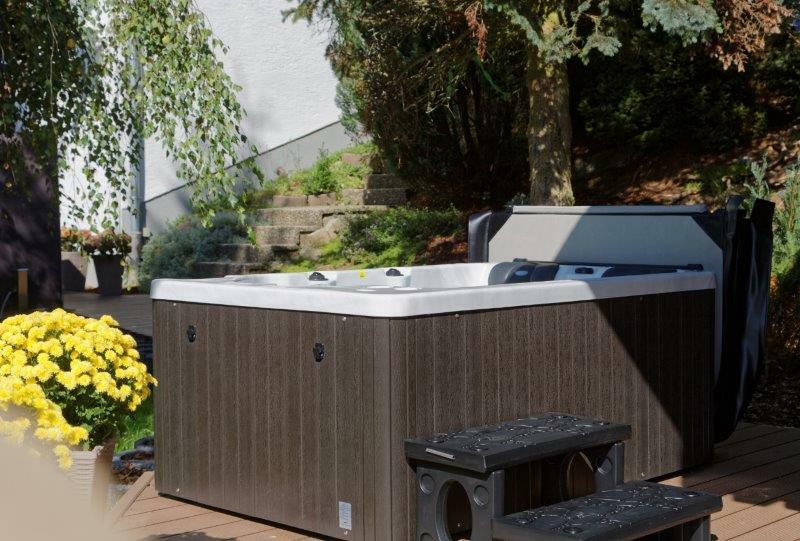 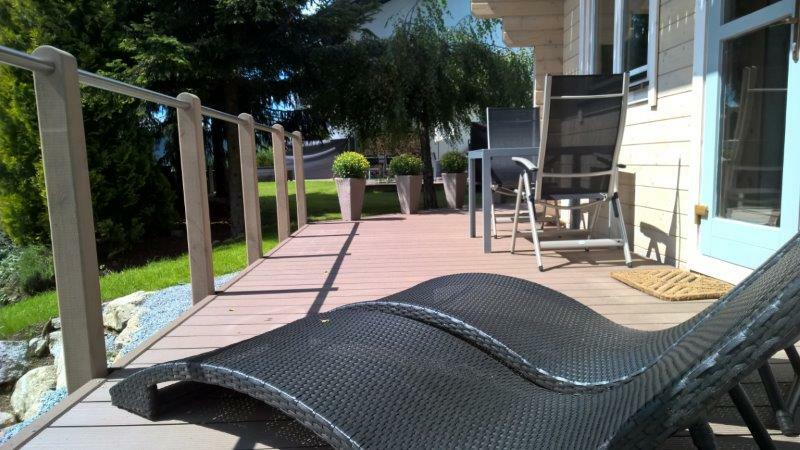 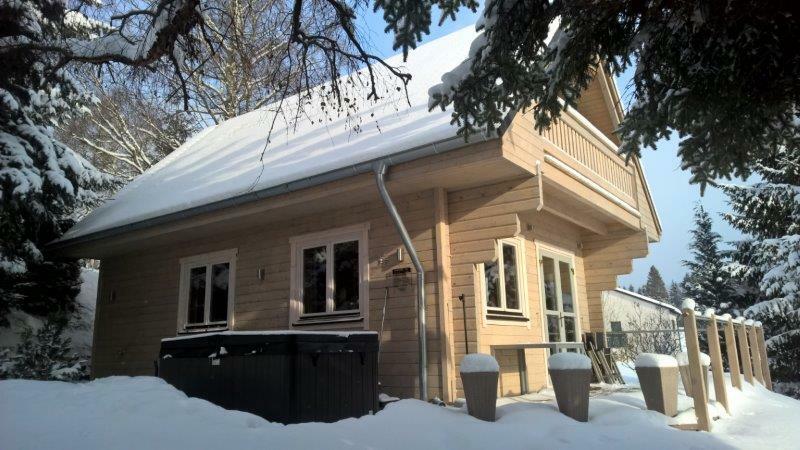 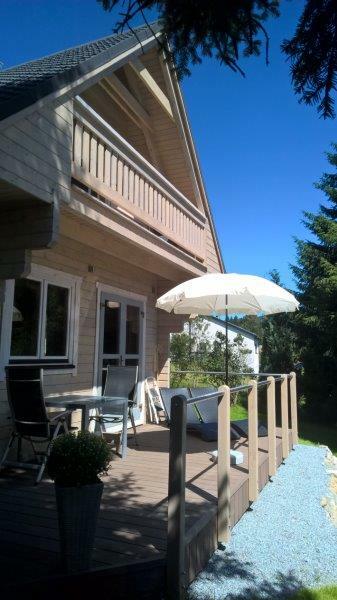 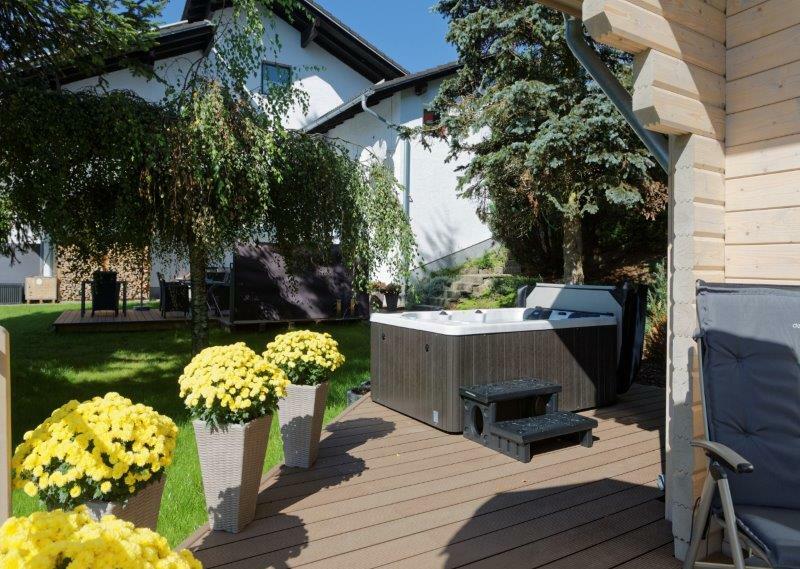 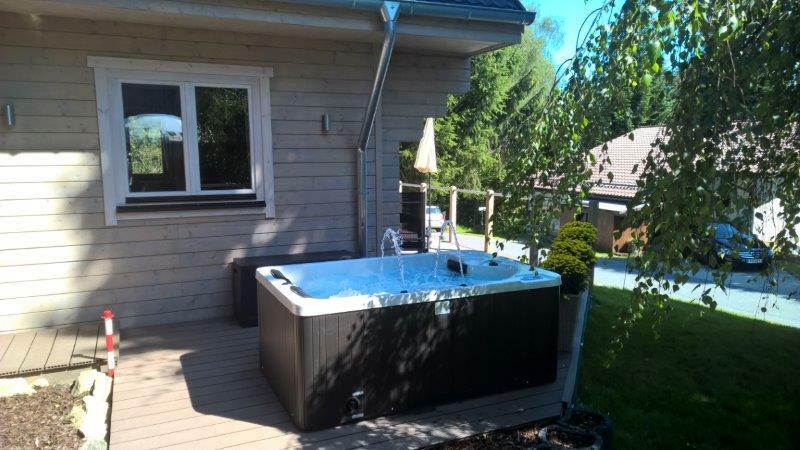 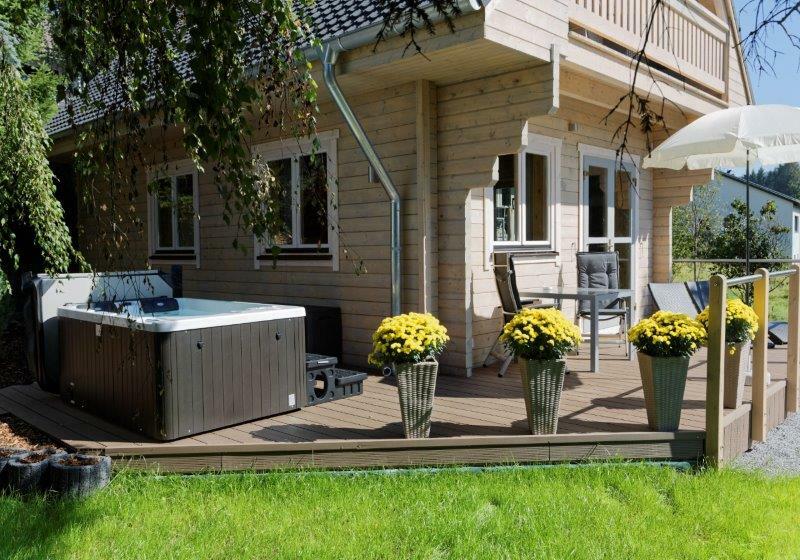 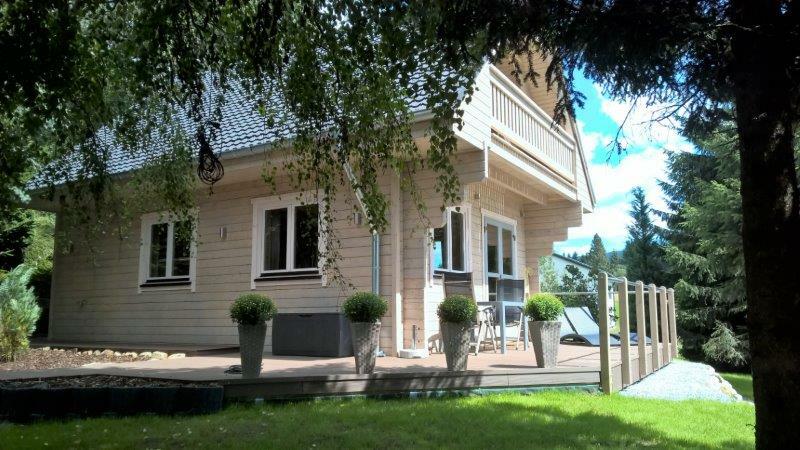 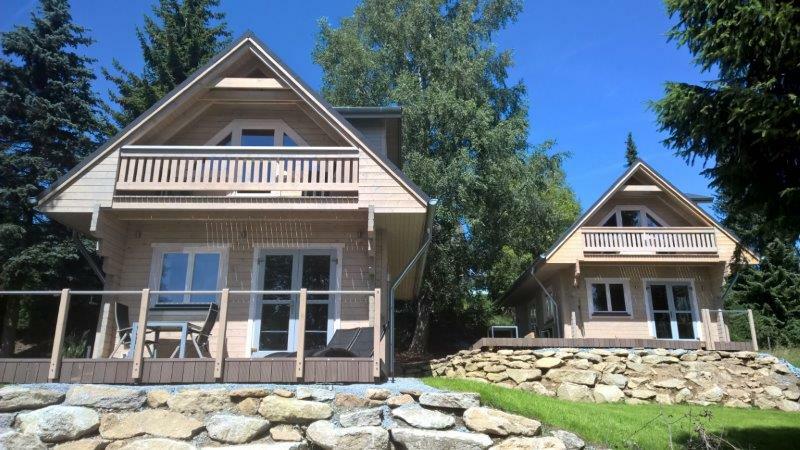 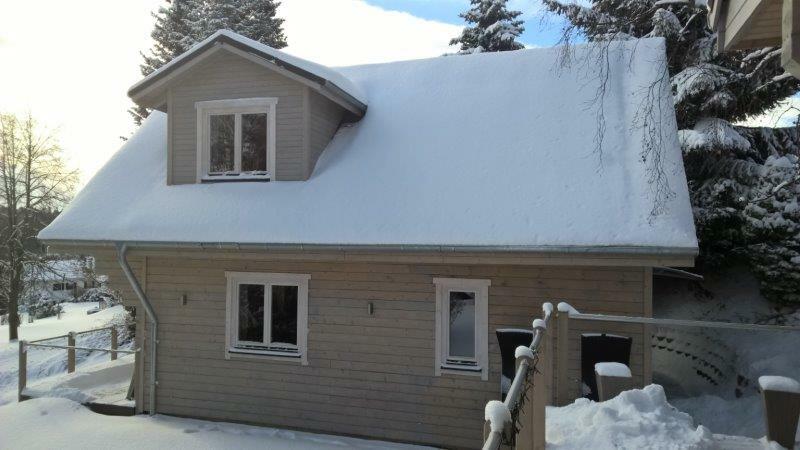 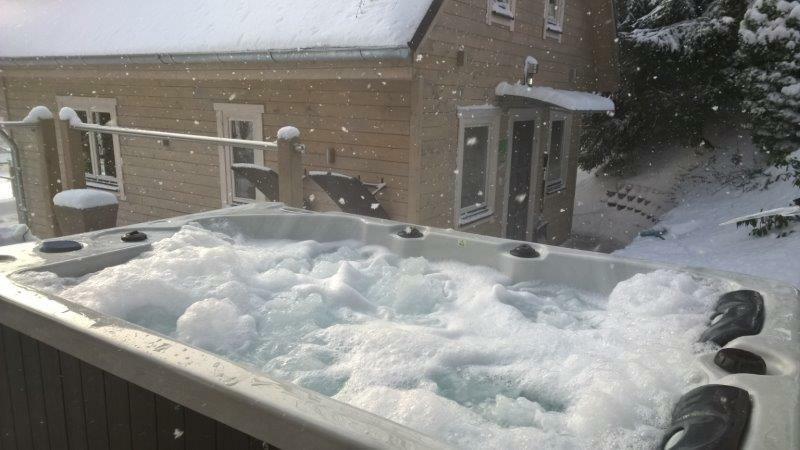 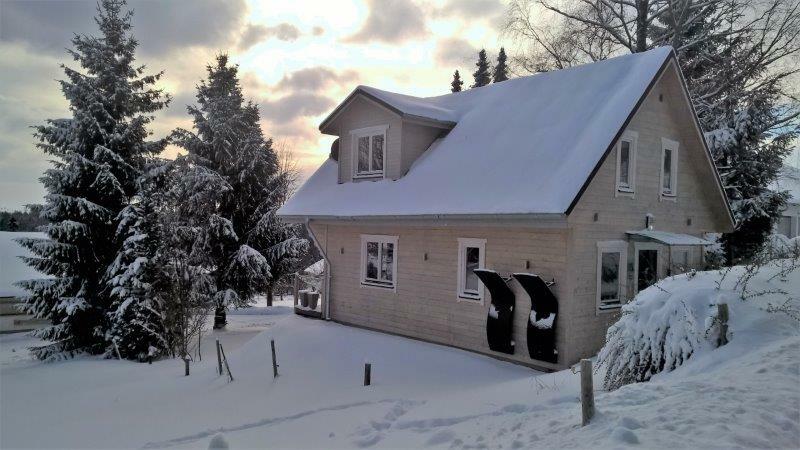 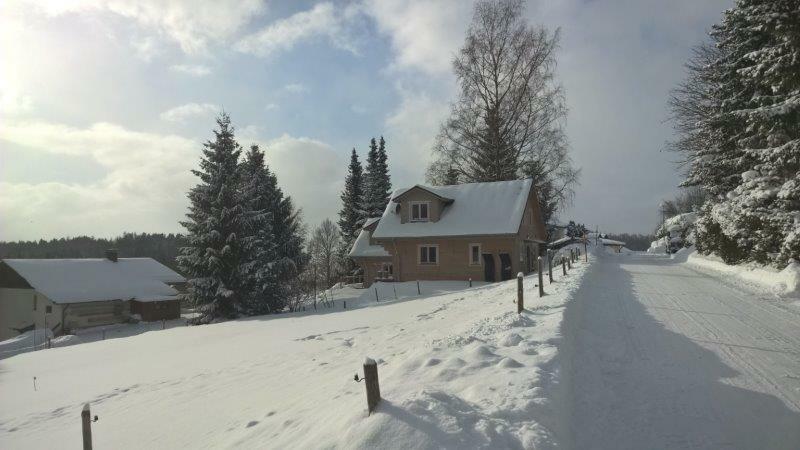 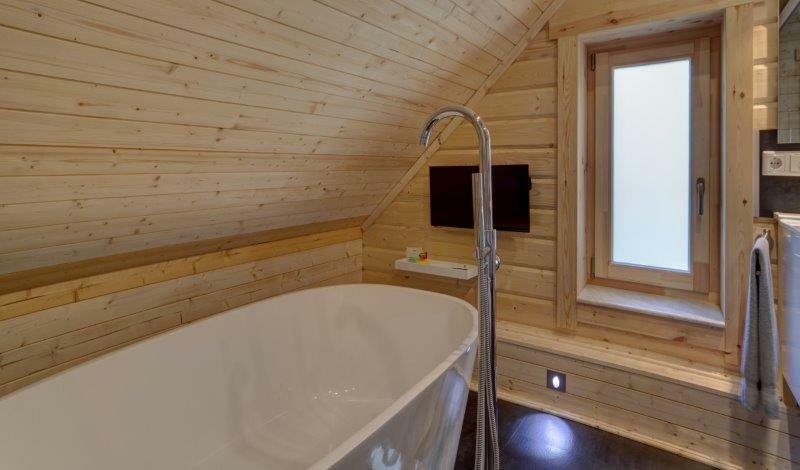 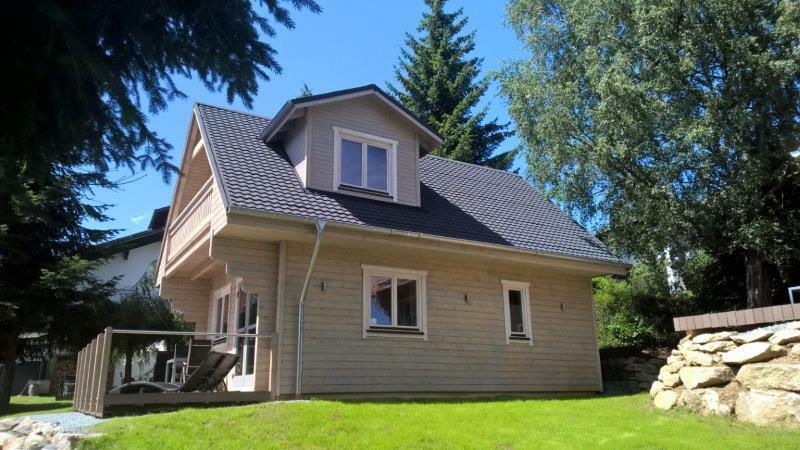 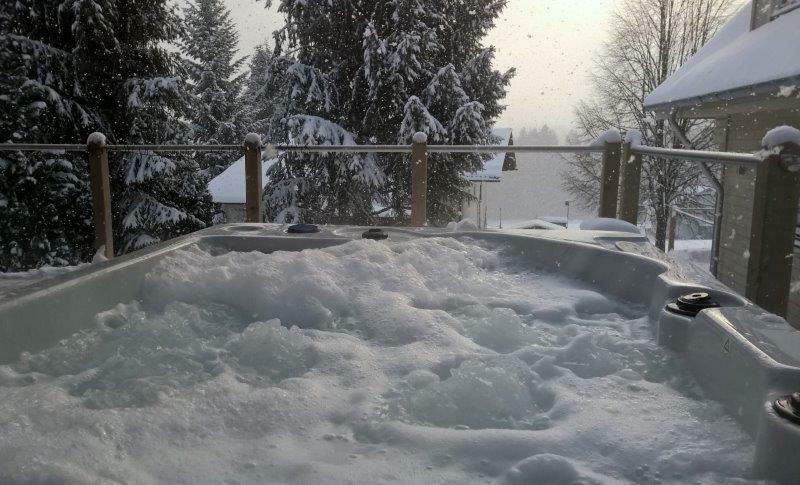 Each Chalet offers a lot of privacy, has a very spacious terrace (south facing) with furniture and a Hot Tub for 2 people, which is available year round. 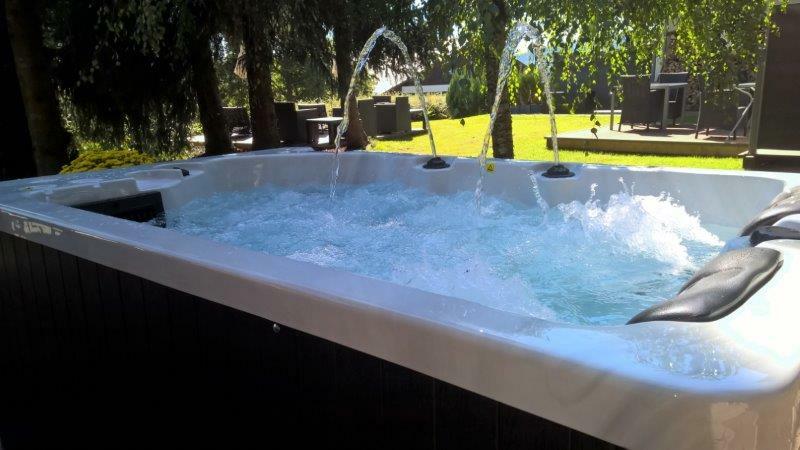 Just enjoy the 39-degrees (Celsius) water temperature overlooking the mountains and valley. 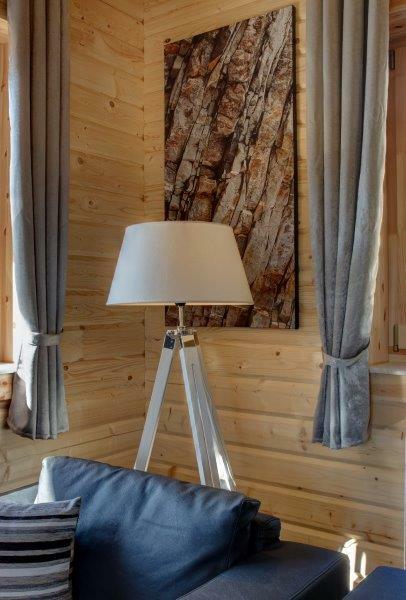 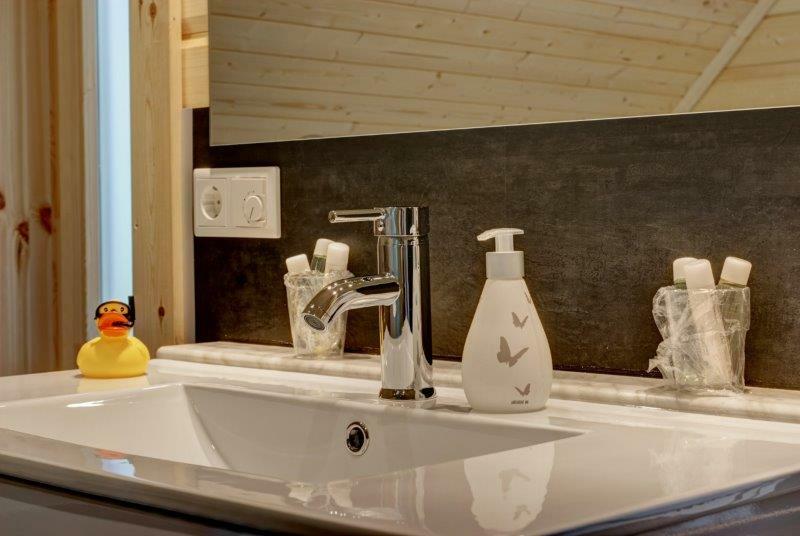 The interior of the chalets is very modern and tastefully decorated. 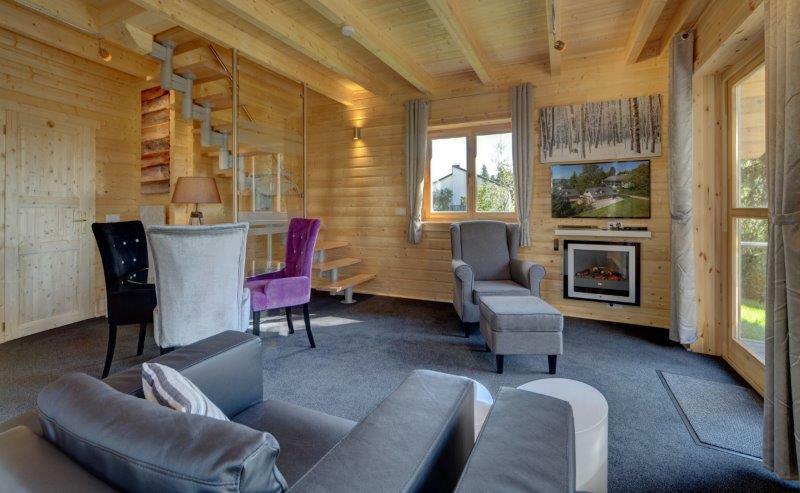 Contemporary and luxury furniture can be found in the living room (downstairs) and bedroom (upper level). 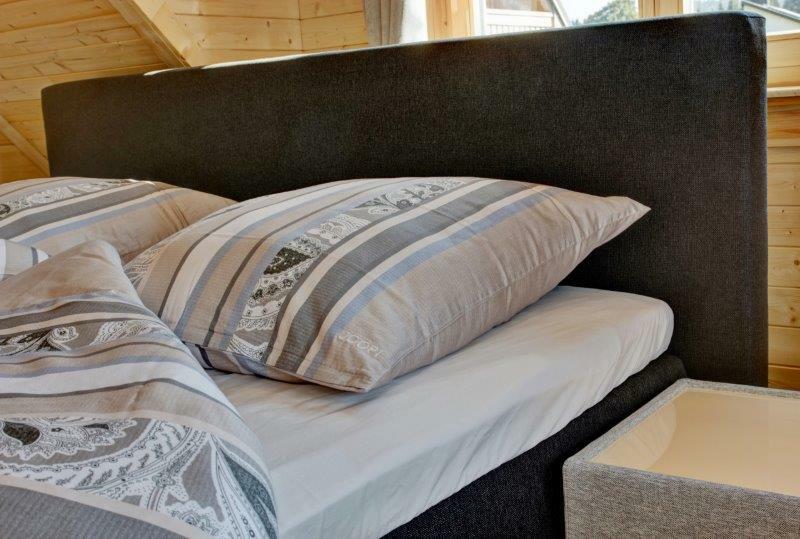 The bed is of the famous brand ‘SwissSense’ and of course (at least it is at our place…) electrical adjustable and covered by extra thick top matrasses. 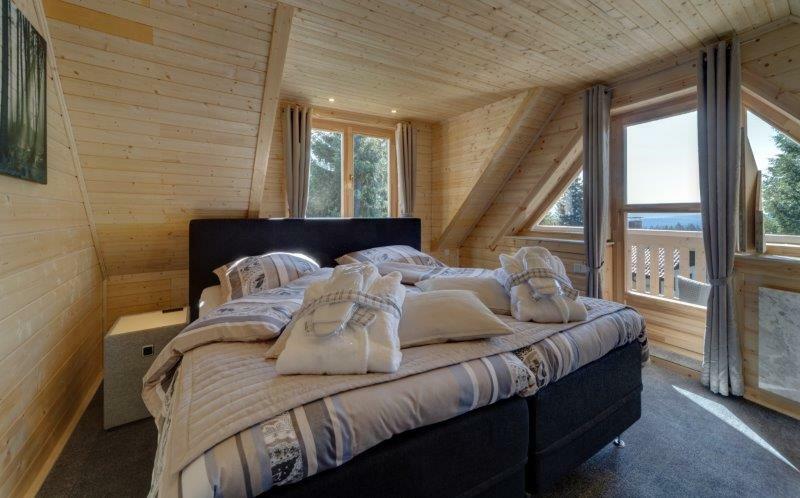 The bedding turns sleeping into a real happening. 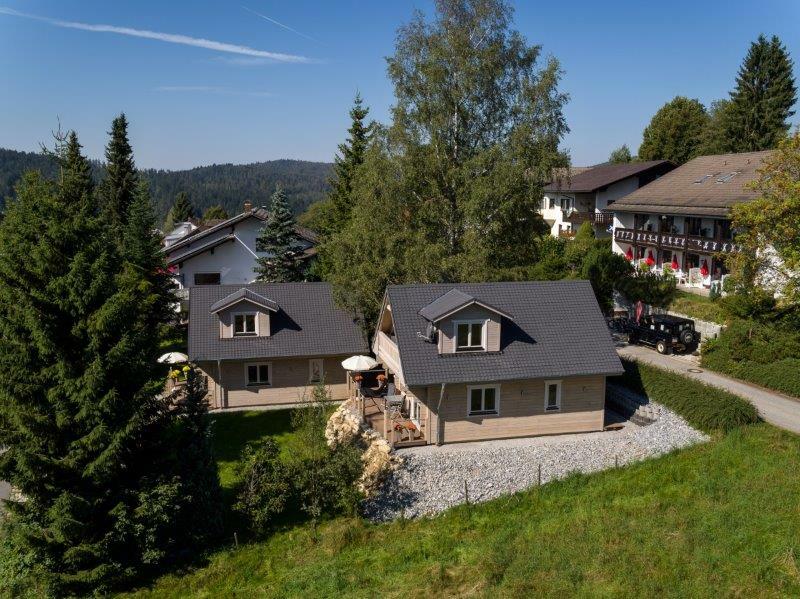 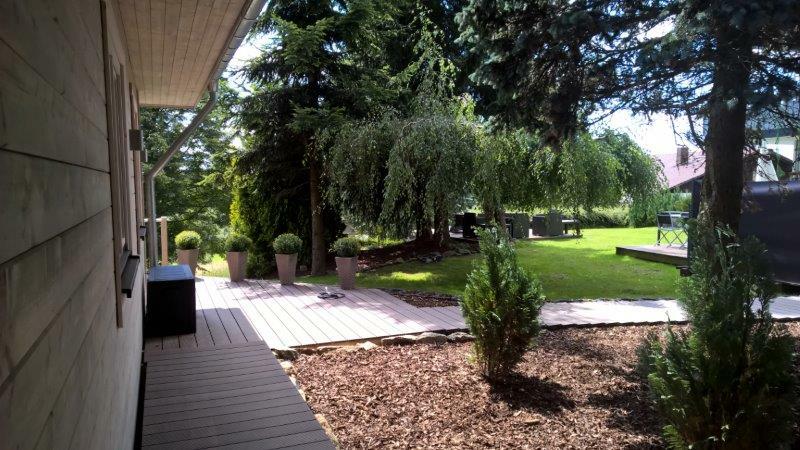 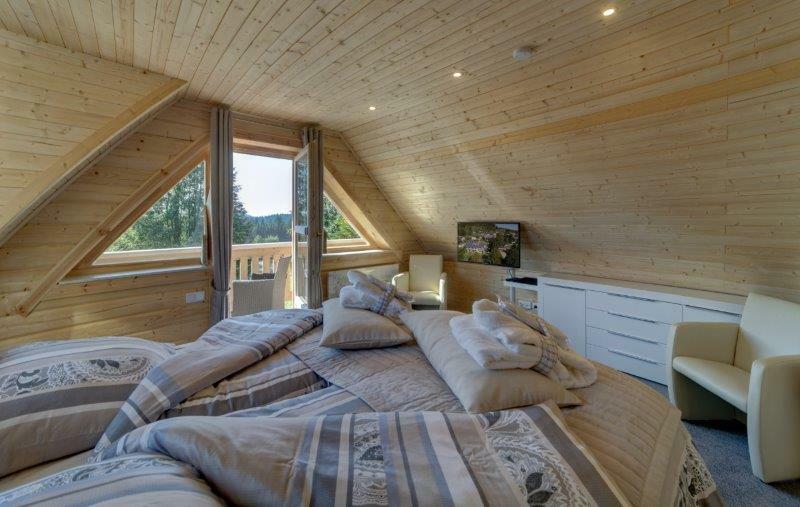 From the balcony of the bedroom you can view to the beautiful valley and even to the Austrian Alps. 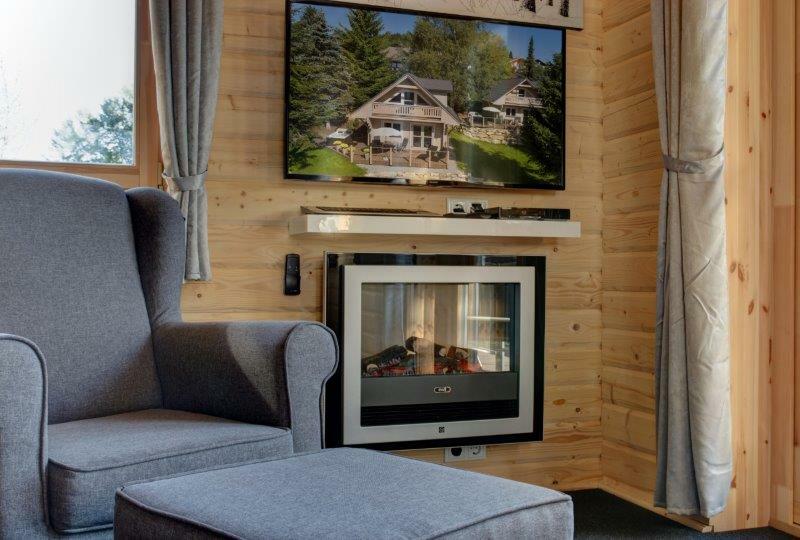 But there is more: your own infrared cabin waits for you, as the electrical fireplace, the 3 LED-TV’s (including one on the bathroom! 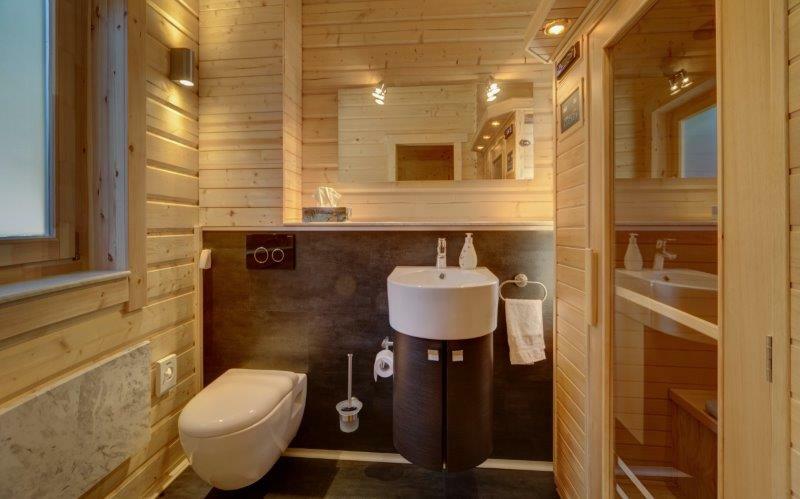 ), 2 toilets and a handy ‘hotel kitchen’*. 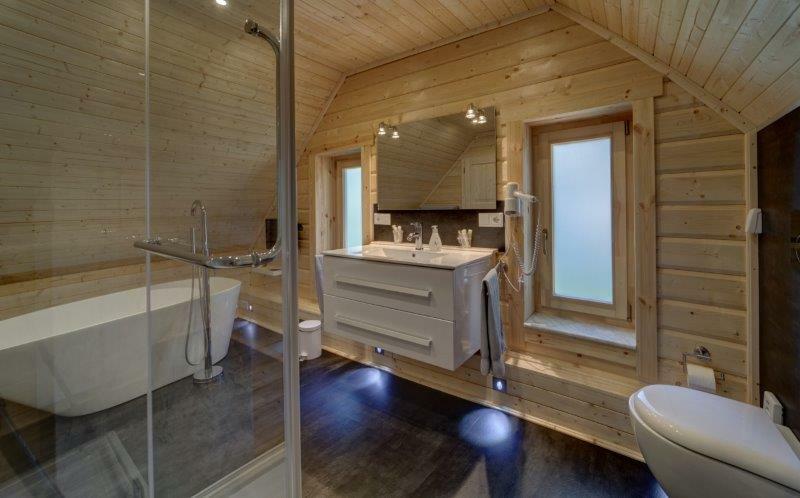 The bathroom (approx. 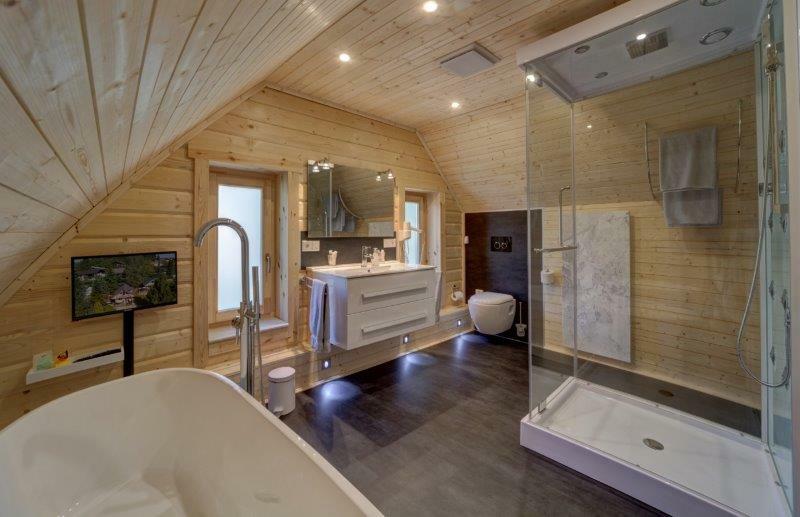 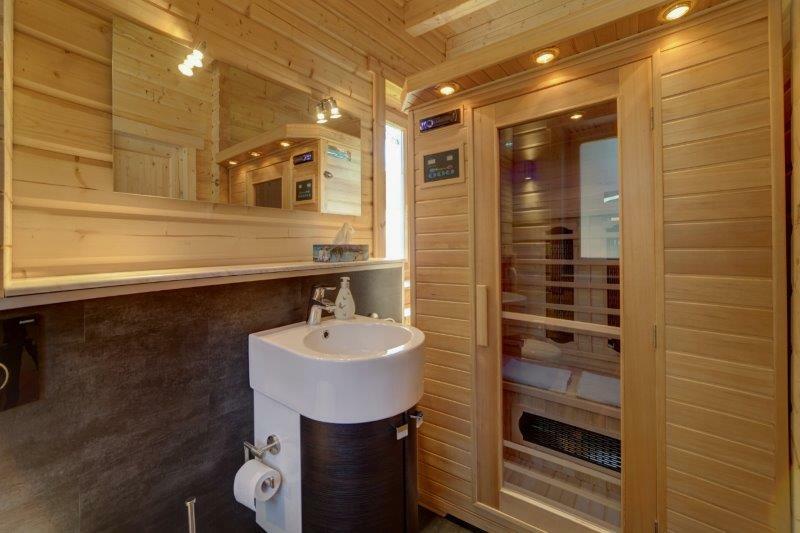 14 m2), has a design bath tub, a rain shower with side jets, a large basin and a toilet. 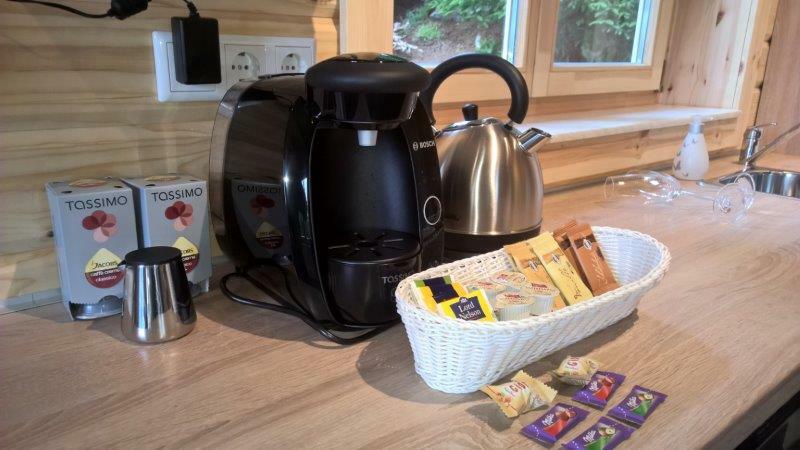 *) a hotel kitchen does not offer cooking facilities, but it has: sink, refrigerator, dishwasher, coffee machines (2x: Tassimo with pads and an espresso machine) and a water cooker. 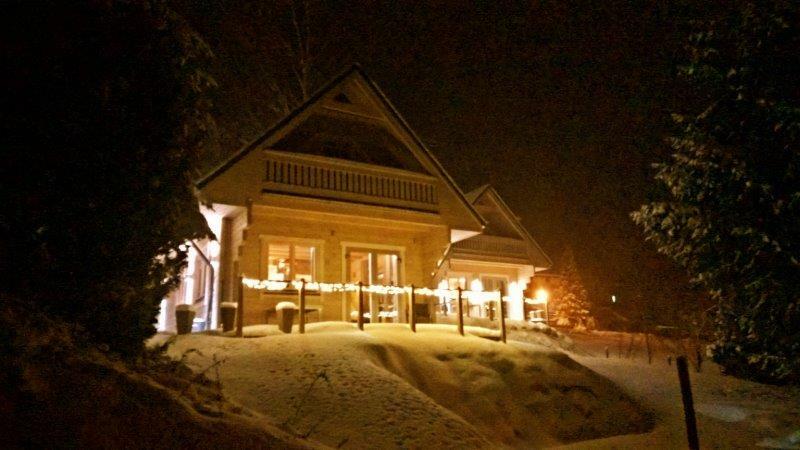 Breakfast buffet is included and you will have the breakfast in the main hotel building (next to the chalets). 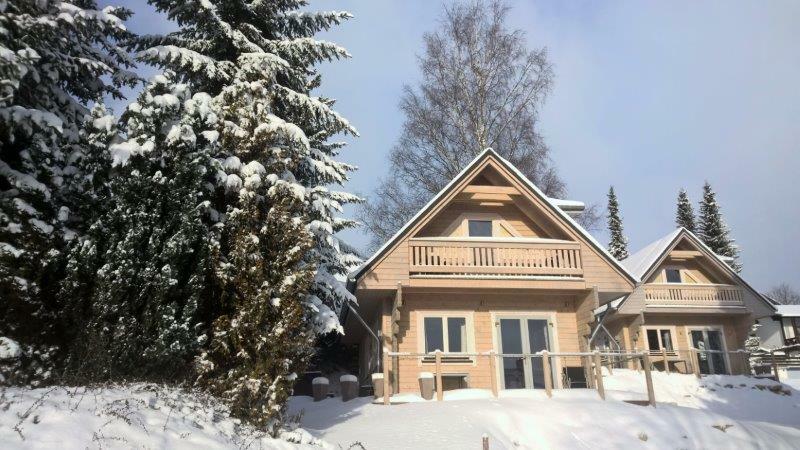 For this type of accommodation, a minimum stay of 4 nights (in some parts of the high season) is required.